Darryl Hana Esguerra is our Registered Nurse. Originally born and raised in the Philippines, she relocated to California when she was 12 years old. In addition to already having received her Bachelor’s Degree in Nursing from California State University, Dominguez Hills, she is working towards obtaining her Masters Degree as a Nurse Practitioner. Darryl has been a Registered Nurse since 2014. 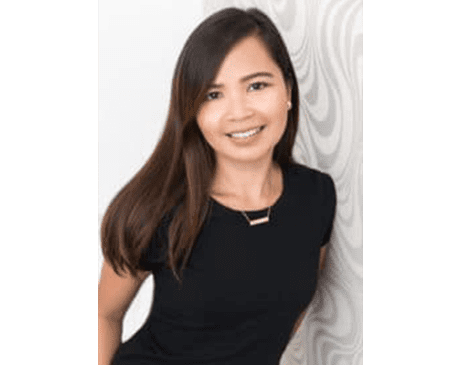 In addition to devoting her talent to Pure Luxe Medical, she also works as an RN at Little Company of Mary in Torrance, California. On her days off, Darryl enjoys spending time with her friends and family, going to the beach, hiking and running. She is very easy to talk to, has such an approachable and friendly disposition, and enjoys meeting new people. Please feel free to ask her any questions. She looks forward to being a part of your journey!